The difficulty with the photobook is how good so many of them are in the sense that they fit into design and narrative forms that look like photobooks, that read like photobooks, with statements and essays that support them and look like the kind of statement or essay that you should get in a photobook. They interrogate, they question, they fit images into sequences and grids that have been pored over on floors, tables and magnetic boards. Images have been flipped around, they have been shrunk, enlarged, put to one side and then chosen again. People have stood round tables and pursed their lips while ruminating on the precise edit which will make all the difference, while in nearly all cases it won't make any difference whatsoever. Photographers have been consulted, contradictory views have been sought, acknowledged, followed and ignored. Multiple dummies have been made, designers consulted, ephemeral materials added, confusions overcome and added to, till by the end of it you have a real life proper photobook. And sometimes that's all you have. The life has been sucked out of it and you're left with a voice that is denuded of its more human qualities as people have struggled to do the thing they think they're supposed to do. The story is told from multiple perspectives with multiple points of views. There's a multimedia, a film, a book, a graphic strip, there are screen prints and a booklet. There's even a pop-up wayang myna at the end of the book. There's a lot going on. We'll focus on the book. The photographic part details Lopez's encounter with the bird across the island. 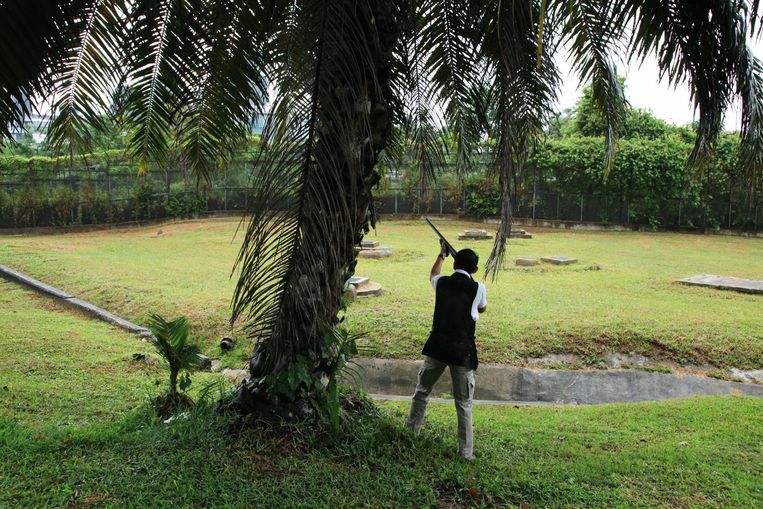 She sees how it is poisoned, she finds myna bodies on the streets, she encounters a man who hates mynas, who shoots mynas and dreams of setting up Mediterranean style shooting points to exterminate the bird on its migratory routes between Malaysia and Singapore. The cartoon in contrast tells Lopez's story of her encounter with one particular bird who has grounding a real myna whichwas a pet in London (the owner got fined £44 for the noise from its singing) then moves to Singapore. It's engaging and rather like a children's story. I remembered it after the fact which is not always the way it happens with photobooks. 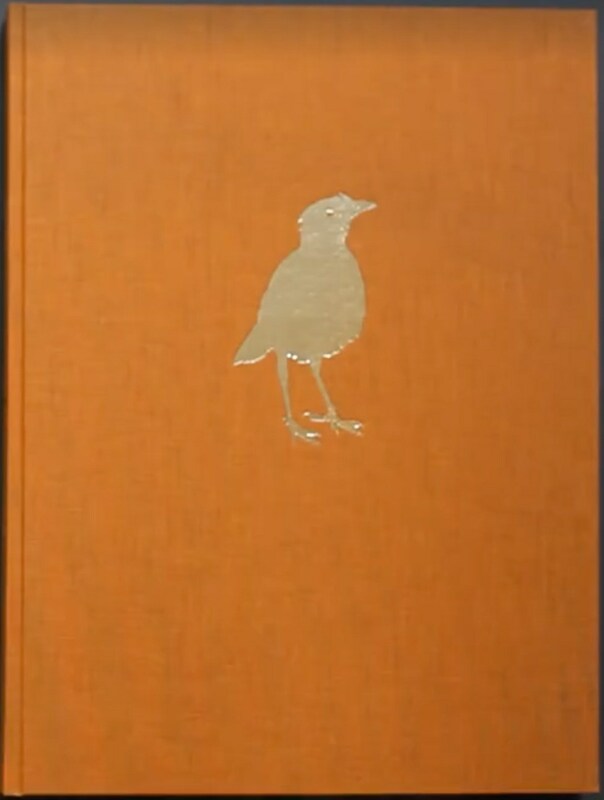 It tells the story of how the bird came to Singapore from Java, of its persecution, its unhappiness and its eventual escape to Burma, a country where it is revered. There is a booklet (in the third person rather than the first) which explains the images in the book. These are engaging too, a metaphor both for the narrative of the myna and for the strangely artificial nation-state that is Singapore. As mentioned, there's a lot going on in the book which is sumptuously produced. Maybe there's a bit too much, but it's good to see different voices, different ways of telling a story coming through. 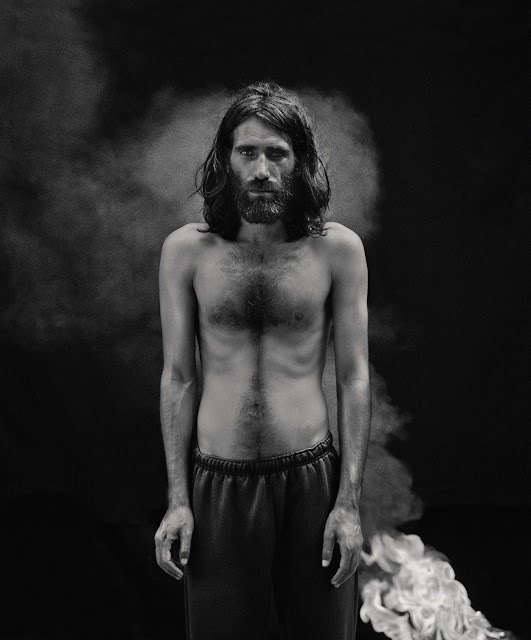 If you want to get away from the figures with hands on hips standing knowingly round an editing table flippling an image one way and then another, and it not making a blind bit of difference, The Migrant is a refreshing change. 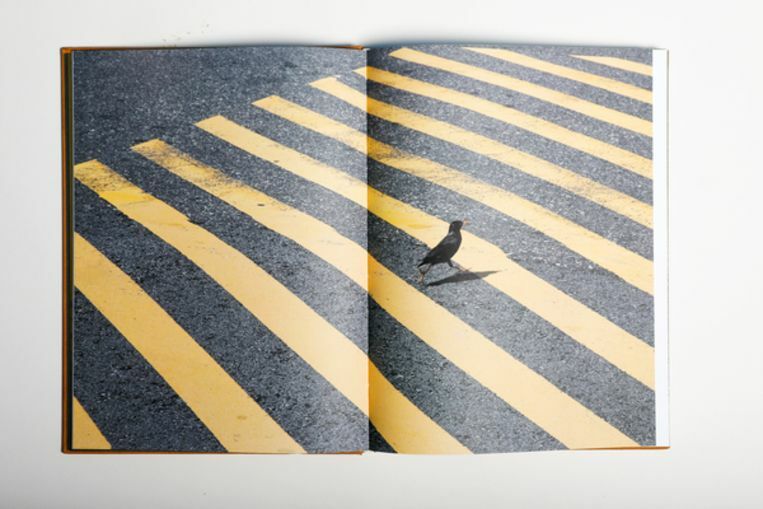 The book is designed by Teun van der Heijden. 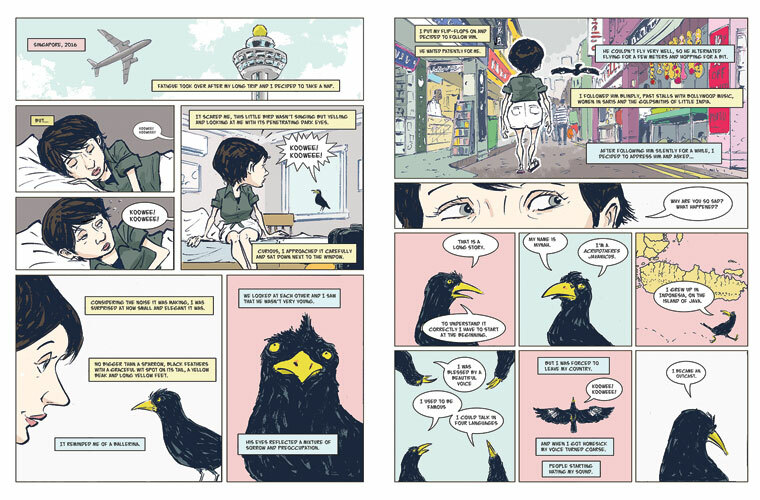 It contains handmade silk screen prints, illustrations by renowned Singaporean cartoonist Sonny Liew and a handmade pop-up by artist Moon Brouwer. The book is a work of art in itself that can be used to share the story of the Javan Mynah with others. Specifications: 240 mm x 318 mm / 120 pages + booklet of 16 pages / full colour / English. 450 copies.